Wherever you are in the world, there’s nothing that beats watching the Premier League with a pint. Here are some of the best bars and pubs in Barcelona for catching the football, and other beautiful games, on TV. You’ve just touched down in Barcelona, and whilst you probably should be taking advantage of the nice weather to go and see some Gaudi, or at least take a token stroll around the Barri Gotic, the fact is the big game is on – and there’s no way in hell you’re going to miss it! As for Formula 1, the Six Nations rugby or the Cricket World Cup, suffice to say we’d rather be in the pub catching all the action than on the beach getting sandy pants and sunburn. Naturally, a city of Barcelona’s size has plenty of great bars and pubs for catching live sports on TV, and if you’re keen on watching the latest Barça game don’t worry… everywhere from hotel lobbies to kebab houses will be screening it. But if you’re an American feeling lost without somewhere to watch the Superbowl, an Englishman missing Wimbledon tennis, or any other international sport, then a good bet is to drop by either one of the city’s many Irish bars, or one of the specialist sports bars dotted around town. You’ll be hard pressed to find a pub more committed to sport than Flaherty’s, which on top of screening every English Premiership game of the season also shows the Rugby Six Nations, Golf Ryder Cup, Formula 1 Racing, major Ice Hockey tournaments and boxing contests and much more on their seven TVs (including two king-size projectors). Got a special request? Well call ahead and they’ll do their best to show it. Friendly staff, lip-smacking pub grub and a range of ales, beers and stouts on tap make Flaherty’s a close second to being in the stadium. Located in a quiet square just off Las Ramblas. Recently refitted this international bar now boasts 10 HD plasma TVs, and three giant projector screens, bringing you the latest sporting action from America, Australia, the UK and beyond. Bookmark this spot if you want to see the best of the NFL (every Sunday), NHL and NBA, as well as the latest from the worlds of baseball, rugby, cricket and aussie rules. This being one of the world’s most football-crazy cities, naturally there’s plenty of soccer action too, particularly from La Liga, the Premier League and Champions League. 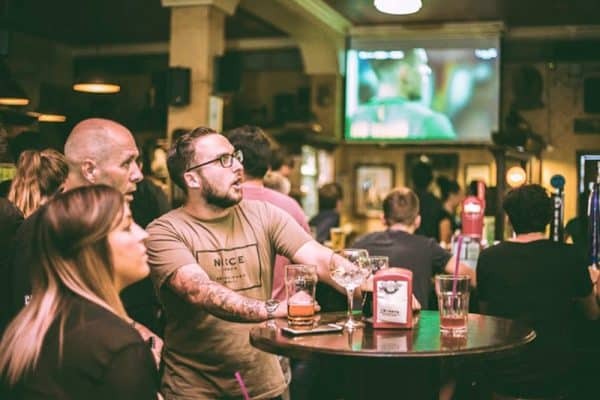 All crunch matches, such as play offs, derbies, finals and special events etc, are televised with English commentary… and with plenty of drinks promos behind the bar you can expect a raucous atmosphere to go with the occasion. For those who like to combine game day with a bite to eat, their kitchen offers up a mean burger and fries, along with plenty of tasty salads and wraps if you’re working on your bikini body. Find it a stone’s throw from Placa Catalunya, at the top of Las Ramblas. Another very centrally located haven of all things sporting, you can find this homely wood-panelled Irish pub at the bottom of Las Ramblas, where it screens not only the Spanish and English football, but also the Bundesliga, Serie A and Ligue 1, and both the Champions League and Europa League, on its two giant projectors and six large plasma screen TVs. 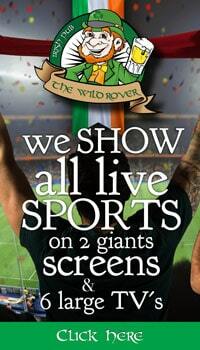 Those with green blood running through their veins can also catch all the action from the Gaelic Athletics Association. Rounding off their complete programme is televised rugby, basketball, tennis, boxing and UFC fights, plus F1 and Moto GP racing. Looking for the number one place to watch the NFL in Barcelona? You may have just found it! 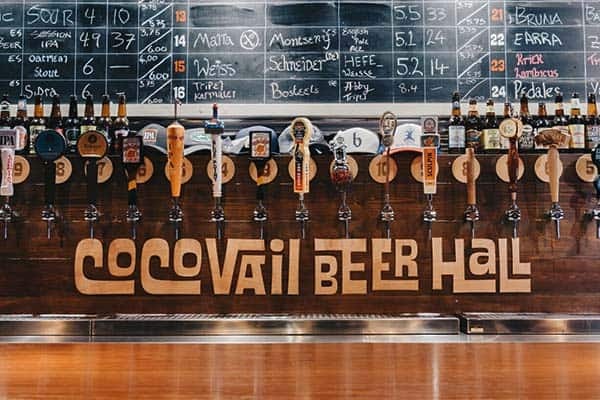 One of the city’s best craft beer bars, this American-style beer hall screens the best match ups from the National Football League every Sunday during the season, with drinks and food promos starting at 7pm. Come down as the mercury rises during the play offs all the way to the Superbowl. It’s not just about gridiron though, CocoVail screens NBA, NHL and MLB on its three large screens, as well as international sports, including big soccer games like El Clasico and the Champions League Final (because who wants to miss them!?). Love college sports? Then you’re in the right place, as they screen college football and basketball including all the mayhem of ‘March Madness’. No wonder US Erasmus students love this place so much. This British Africa colonial themed pub is centrally located, just off the Gaudi-laden Passeig de Gracia, and a perfect stop off after a hard day’s sightseeing. It has eight pixel-perfect high definition televisions on three different levels (ground floor, mezzanine, and basement), so you’re all but guaranteed a great view of the action. They screen pretty bags of football, including Champions League and Europa League, PL, Scottish Premier League and La Liga, as well as NBA basketball, boxing, MMA, rugby and tennis. Just check their website to see what’s on, or call them if you have a niche request. 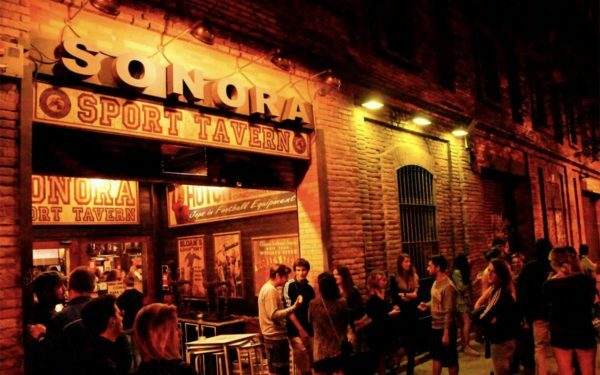 A big studenty beer hall with huge screens, Sonora is a great place to watch Barca in action and other La Liga matches and will be a certainty for all Spain games during any World Cup or European Championships year. However call ahead to check what other games and sports events they screen as Sonora mostly caters for locals – and how England are doing in the cricket may not be of much concern to them. Located in between Marina and Bogatell metro stations in Poblenou. 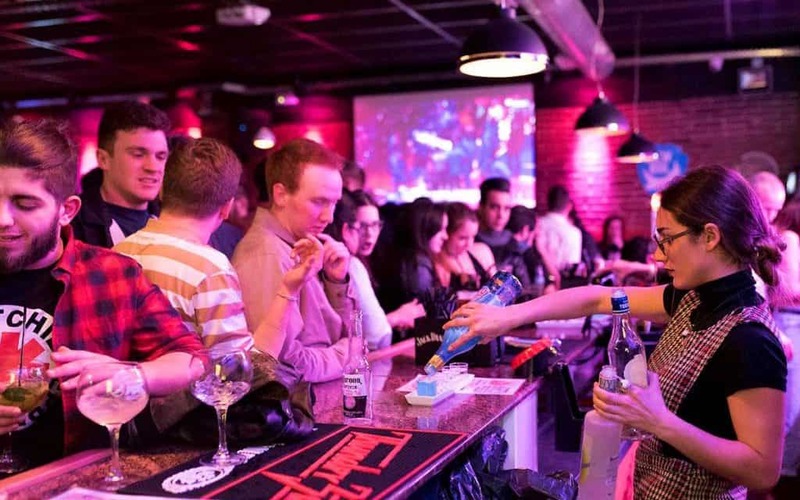 This lively student bar is a notch above most of the boozers in the area and is especially busy during the weekends, as the 18 to early 20s crowd fuels up on cheap beer. They screen all La Liga and Champions League football, but much like Sonora above, they cater mostly for the local crowd, so call ahead if you want to be sure they’re screening Premier League games. 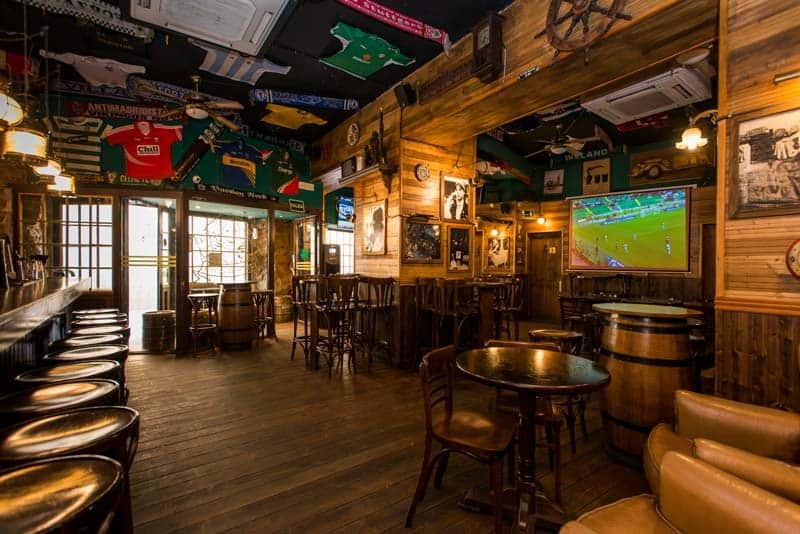 Run by the same winning team at Flaherty’s (see above), Shenanigans is one of Barcelona’s most charismatic Irish pubs and screens action from major tournaments of all denominations, and of course the best of the Spanish football league and the EPL. They’ve got a sizeable back room, segregated from the main bar, where you can view one TV, whilst along the main area another four high definition screens are mounted up high for easy viewing. 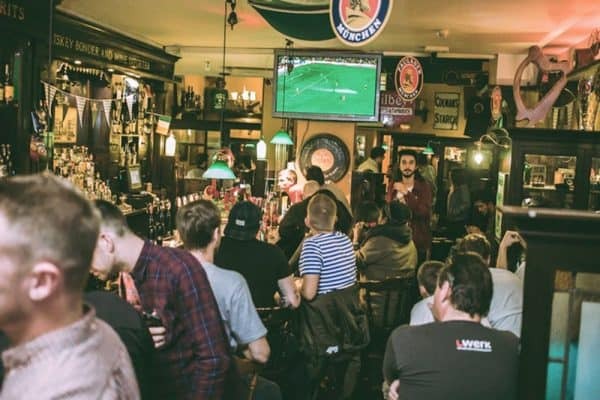 With twenty beers on the menu, some classic pub grub and snacks, and friendly international service, be prepared to make this your second home when Euro 2020 kicks off. The pub is very central, just a minute’s walk off Las Ramblas, in Raval. 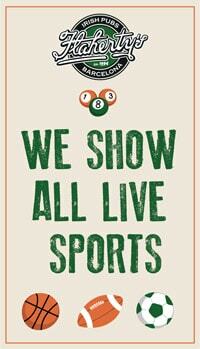 This Irish pub is located just by Urquinaona metro station and is another great place in town for watching live sports on TV. A vast projector screen in the back room relays the action (albeit not in high definition) as the crowds lay into the pints and bar snacks. Get there well ahead of kick off if you don’t want to be left outside, as it can get crowded, especially for Barca matches. A bit hit and miss, this is your classic local dive bar that doesn’t even have a website, but can be fun if the right crowd has found its way inside. They are big on live music, have a pool table and several screens, and they show most major La Liga games as well as the bigger match ups at major tournaments. If you prefer to watch live at the stadium, court or trackside than in the pub, then you can read more about various events in our article on sports in Barcelona, can click here to find out how to buy tickets to Barcelona FC matches at Camp Nou, or check our page about attending the Formula 1 Spanish Grand Prix. Find all of the above venues on a map. Hint you can also click on the title links in the article, find their individual pages on Barcelona Life and hit “get directions”. You can also find their individual listings here. Any place to watch the NBA playoffs…Warriors vs Clippers? I know they are big basketball fans at CocoVail, but I would advise dropping them an email to be sure. 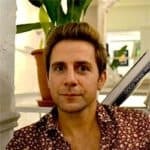 Is there any sports bar place in Barcelona you can recommend to watch the MotoGP? Hi Charrie, I’m not 100% sure who will be showing it. If you click on the title links of any of the bars on this page though, you will find their individual page which displays the bars’ emails. Eg. 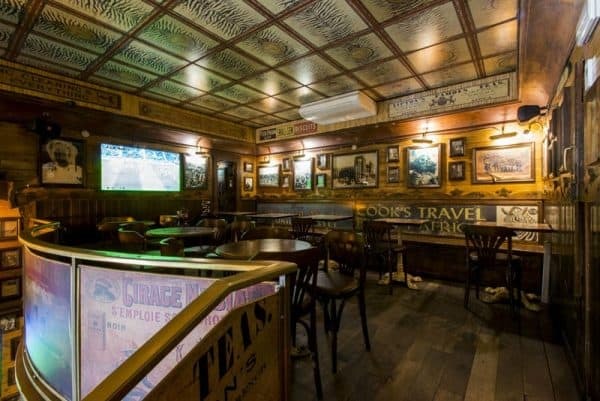 here: https://www.barcelona-life.com/flahertys-irish-bar (right hand side of page). Suggest you drop one or two a line and confirm they’ll have it on. would you be able to tell me if there are any public viewing places with big outdoor TV screens for the Team Spain matches? We are planning to visit Barcelona in June and I was hoping to watch the Spain vs Portugal, June 15th and the Spain vs Iran June 20th , ideally in an open venue, plaza or park. Hi Thomas, as far as I’m aware there aren’t any openair fan zones planned, but I am not 100% sure. They may be some, but I haven’t heard of any. If there is one I would have thought it would be in the area by the Magic Fountain by Plaça Espanya. Sorry I couldn’t be of further help. Just so you know, Spain’s national team is not massively popular here in Catalonia, where Catalan nationalist sentiment is very strong.